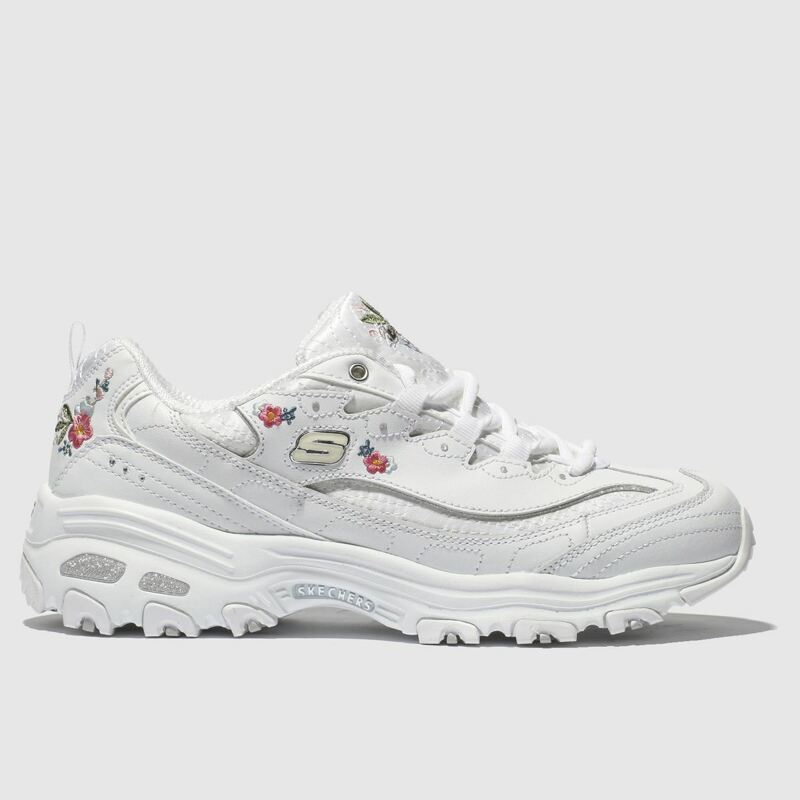 Raise your chunky sneaker game and step back into the 90s wearing the latest D'Lites Bright Blossoms profile. 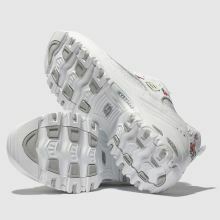 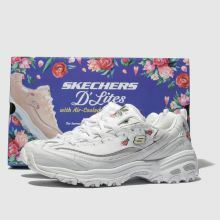 The pristine white man-made upper boasts iconic Skechers overlays and flowers for that true retro feel. 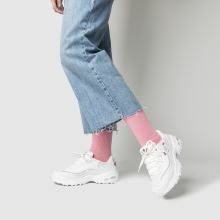 A chunky sole completes the look.